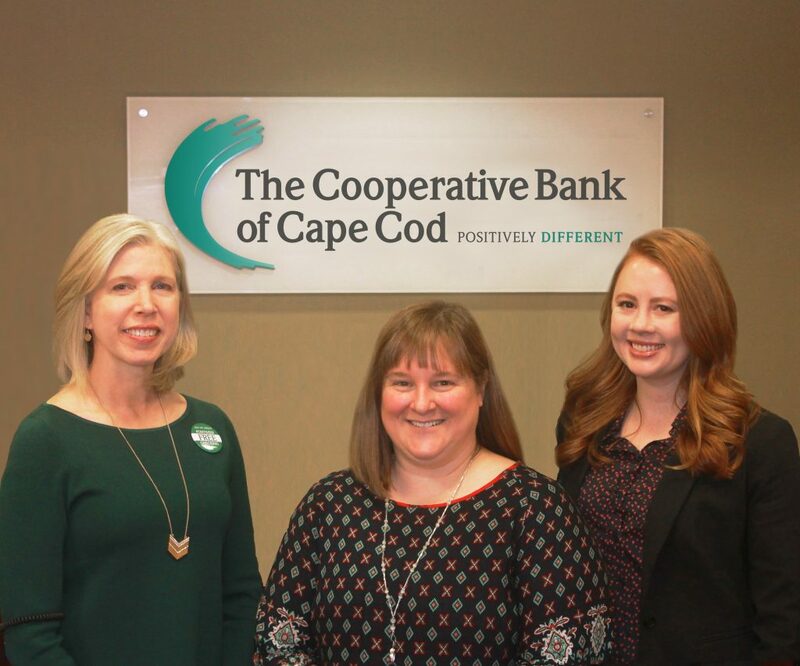 As a community bank, we take pride in the role we play on Cape Cod by helping our friends and neighbors achieve their financial goals and dreams. But, we do so much more than that. We support hundreds of nonprofit organizations, sponsor events, and volunteer for local charities. To that end, we would like to honor and congratulate a few of our employees who volunteer their time and were recently appointed to serve on a nonprofit board of directors. Laurie Maul, VP and Human Resources Manager, was appointed as the Personnel Committee Chair to the WE CAN Board of Directors. Laurie joined WE CAN because she has long admired the organization’s ability to provide women with dignity and support as they develop the necessary skills to turn their unique challenges into opportunities for growth and empowerment. Kirsten Wickson, the Bank’s CRM Administrator joined the Board of Directors for the Cape Cod Center for the Arts, the organization that oversees the Cape Playhouse in Dennis Village. The playhouse has undergone significant changes over the past few years and Kirsten is excited to help them as they unfold their strategic plan, which includes launching a capital campaign to update the aging buildings. Charlotte Green, our Assistant Residential Mortgage Sales Manager, was appointed to the Cape Cod Young Professionals Board of Directors this month. CCYP connects Cape Cod’s emerging workforce and community leaders, engages them in the community, and supports their efforts to advance, personally and professionally. The Coop has been a Premier Sponsor of the organization for over 6 years and we’re glad to continue to give back to the organization through volunteer support as well. We’re proud to support the communities where we live and work and grateful for the Positively Different people who work for us!